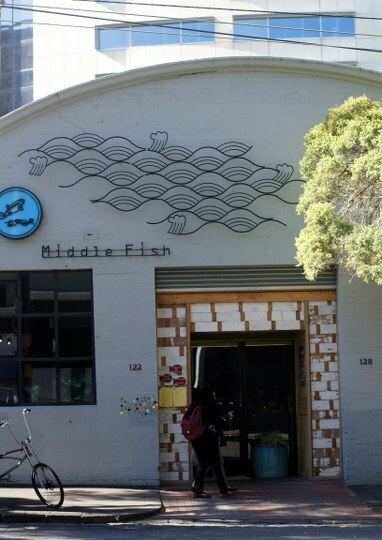 Middle Fish is a Carlton cafe serving Southern Thai dishes in a converted warehouse close to Melbourne Uni. 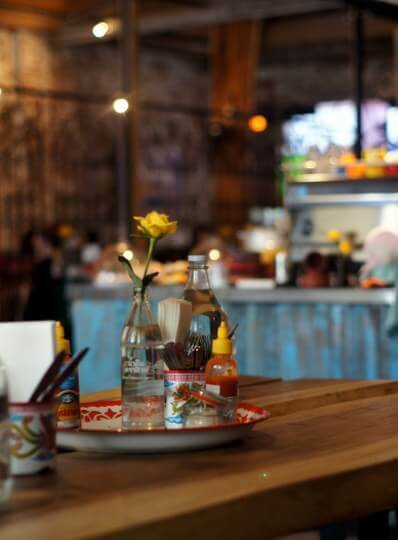 It’s like beachside shack mixed with Thai influences, including a stunning chandelier made of tiny traditional Thai rice bowls made by Thai artist Torlarp Larpjaroensook. There were touches of his wrought iron work everywhere, especially above the red upholstered booths created from old train carriage sleepers and on the front outer wall of the restaurant. As I go out for breakfast quite a bit, the menu was what really got me excited – barely a single item I recognised and pretty much all with chilli. The menu was devised the Thai owner’s auntie so is presumably authentic in its execution. 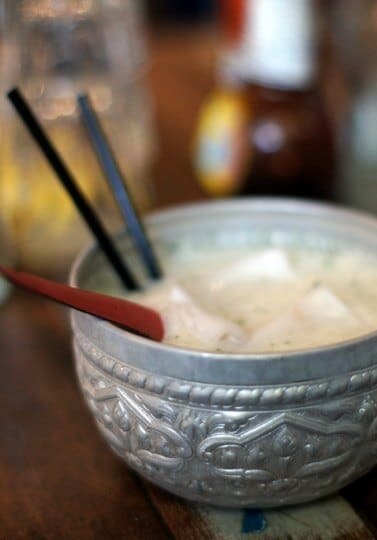 For drinks I sipped on a coconut and vanilla ice cream smoothie garnished with speckles of fresh mint ($6). It was sweet and refreshing and helped sooth the taste buds once I dug into my chilli-spiked breakfast. 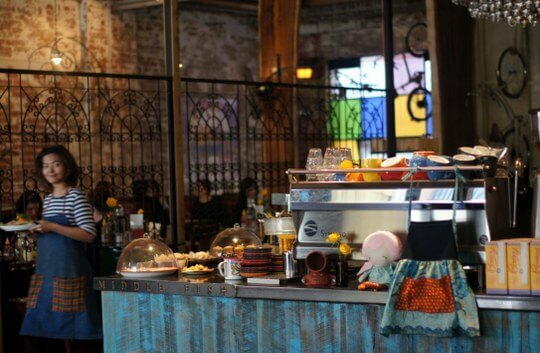 Unbeknownest to me I had ordered their most popular breakfast dish – the hoy tod ($15.50). 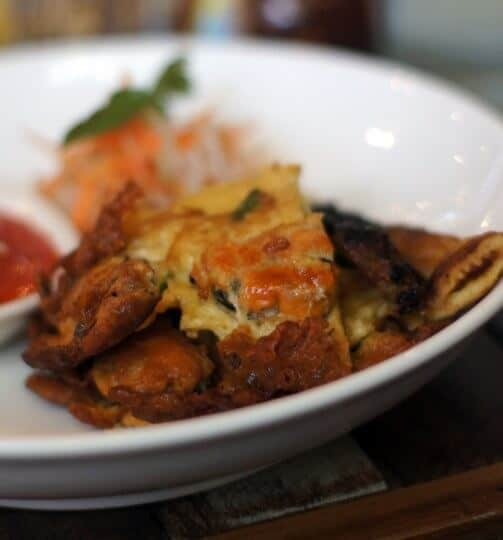 The mussel omelette is actually a popular night market dish in Thailand but at Middle Fish it was reinterpreted as breakfast. I loved the crunchiness of the omelette, fried crisp in some hot oil, which I dipped liberally into the burning house-made sriracha. 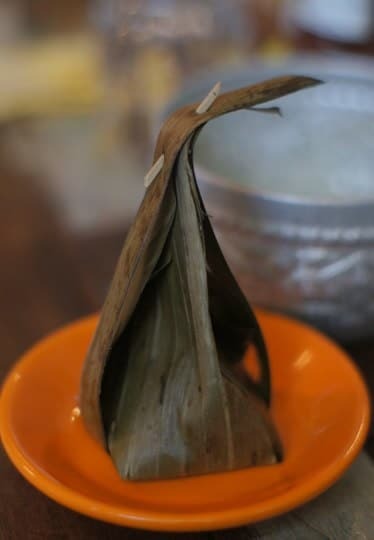 To finish I had a little banana leaf parcel of freshly steamed coconut custard with shredded coconut and palm sugar. A lovely little sweet morsel. 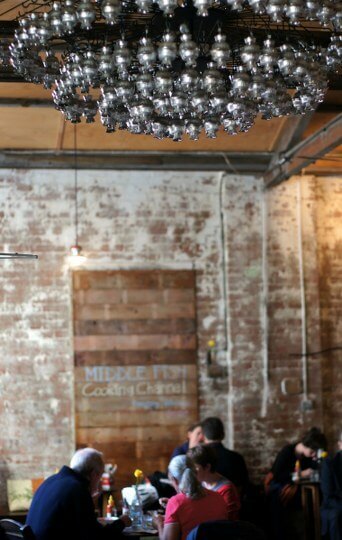 The finishing touch of my great meal was the service – smiling, friendly, helpful. I think I was served by both of the owners, Thai-born Siriporn “Pla” Liamthong and her partner David Holtum and their welcoming attitude made a big difference to my experience. I can’t wait to return as there’s so much more I want to try! 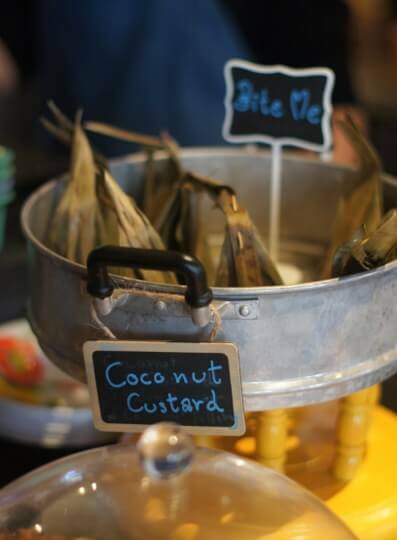 The breakfast menu includes more Western style breakfasts and the lunch menu is extensive with more Thai options.